Platelets are key factors in hard and soft tissue repair mechanisms. They provide essential growth factors which are involved in stem cell migration differentiation and proliferation. They also stimulate fibroblasts which are the repair mechanisms to heal and restore . The platelets are concentrated from the patients own blood that is spun in a centrifuge to separate the red blood cells and the platelets and this is then injected back in to the area by our practitioners. As well as treating the skin (scars/lines/stretch marks/ general skin health) , PRP is revolutionary in hair restoration. We have experienced exceptional results in stimulating hair growth in both male and female patients, even with type 2 and 3 alopecia. Plasma is proven to contain many factors essential for cell survival including nutrients, vitamins, hormones and growth factors. 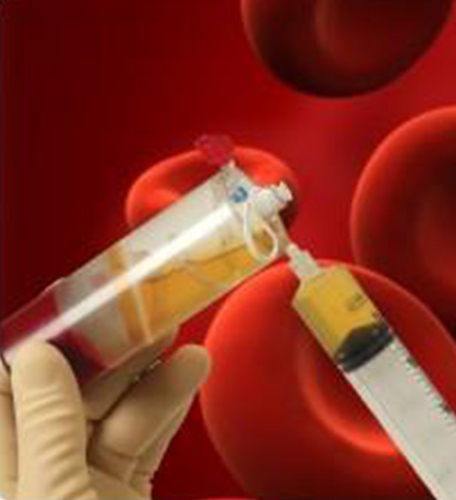 PRP has been used in operating rooms for several decades to help with wound healing, and to stimulate bone formation in spinal fusion surgery, now adapted for aesthetic treatments to treat skin conditions and hair restoration. You may have heard of the “vampire” facial? Well this is PRP used as an anti- ageing facial treatment to improve, heal, skin texture, lines, scars and stretch marks. Using the same method as doctors and surgeons have used, this has revolutionised the aesthetic approach to healthy skin and hair at MBA Clinics. Free full consultations are available where we can discuss your treatment plan. Available at MBA clinic Beaconsfield and the Bridge clininc Maidenhead.